A jury convicted Vybz Kartel of murder with over 19 pieces of circumstantial evidence, says the prosecution. Vybz Kartel and company are currently waiting patiently for the appeal court judges to return with a verdict. The verdict is unlikely to be reached this month, but it’s also possible that come next month, the dancehall star and his three co-accused, Shawn Storm, Kahira Jones, and Andre St John will know their fate. Dennis Morrison, President of the Court of Appeal Justice, indicated on Tuesday that he would put a high priority on the case but declined to give us a timeline for when they would reach a verdict. During the appeal trial, Vybz Kartel defense attorneys rip the trial judge and the prosecution, DPP, for using tainted evidence in the case. The cell phone evidence, in particular, came under the most scrutiny with the lawyers each taking their turn to dissect what happened to a Blackberry smartphone taken from Kartel. The defense accused cops of tampering with the phone to fabricate text message evidence used to convict the four men. The said phone was also used to make four calls while it was in possession of law enforcement. Cops could not explain who or how the phone was used to make calls when it should be in a secure environment. The jury also came under severe scrutiny from the defense. Kartel’s attorney Valrie Neita-Robertson says the judge should’ve declared a mistrial when he learned of the corrupt intent of one juror. She also accused the DPP of advising the judge to continue with the trial even after the jury became tainted. Senior deputy director of public prosecutions and lead prosecutor in the case, Jeremy Taylor, shot back at the defense saying that despite the tainted evidence and tainted jury, the jury would’ve have convicted the four men based on at least 19 pieces of circumstantial evidence presented in court. Among the many circumstantial evidence includes other text messages sent by Clive “Lizard” Williams where he begged for his life and ask for the police to get involved. There was also a text message from Vybz Kartel’s protege Shawn Storm stating that someone was going to die. There were also some video evidence and some voice notes. The defense team is asking the Court of Appeal to exonerate the four men of their murder conviction completely. 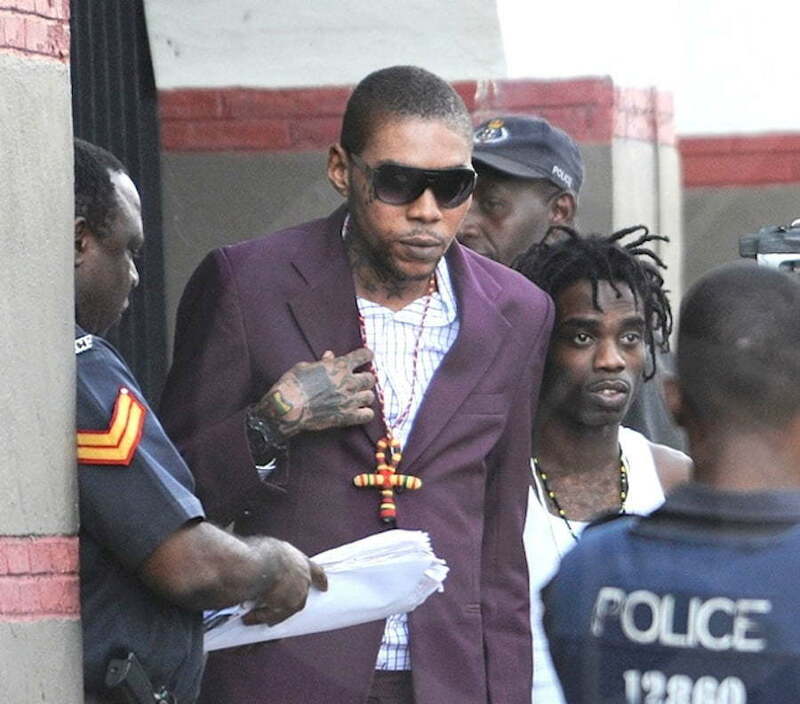 Vybz Kartel and his co-accused, Shawn Storm, Andre St John, and Kahira Jones, are currently serving life for the murder of Clive “Lizard” Williams. The four men says they never committed the crime.